Plan to arrive about 15 minutes early for your appointment to complete any paperwork that may be needed. To speed this process, you may download the forms below, complete them, and either fax or mail them to us, or bring them in with you to your appointment. You may find it easier to right click on the link for the form and then save the form to your computer for printing later. 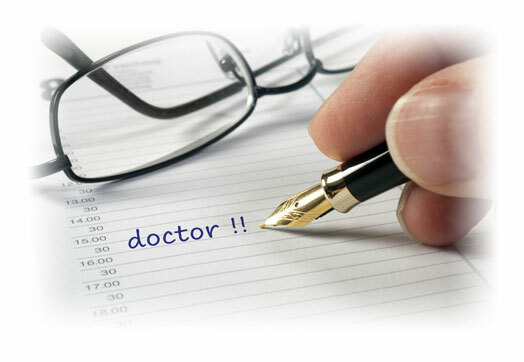 SOME INSURANCES BELOW REQUIRE A REFERRAL FROM YOUR PRIMARY CARE PHYSICIAN. PRIOR TO YOUR VISIT WITH US, PLEASE CONTACT YOUR INSURANCE COMPANY TO DETERMINE IF A REFERRAL IS REQUIRED. The following is a description of Visionary Eyecare & Surgery’s policy regarding patient appointments. We reserve the right to implement these policies without giving prior notice to patients. 1st offense: reschedule the appointment to a more convenient day/time. 2nd offense: no reschedule will be allowed and a letter will be sent to the referring doctor alerting him/her to the patient’s failure to show and our return of the patient’s care to them. 2nd offense (within the same plan of treatment): $50 charge and reschedule the appointment to a more convenient day/time. They will not be seen without payment in full of their assessed late charge and any outstanding balance on their account. 3rd offense (within the same plan of treatment): a dismissal letter sent to patient advising them to seek follow-up care elsewhere. Any patient who arrives late for their appointment time (more than 5 minutes) shall be advised that they are late and that if they choose to stay, every effort will be made to accommodate them. They are to be politely informed that that they may have to wait as scheduled patients will be taken first at their appointed time. If the doctor’s schedule is fully booked, the patient may be rescheduled at our discretion. Patient appointments are scheduled at specific times in order for us to maintain a manageable work flow to allow for less patient waiting time and proper staffing. Therefore, if a patient arrives early for his/her appointment, we will make every effort to accommodate their early arrival; however, it is possible that they will not be seen until their appointed time. Patients will be taken in the order of their appointment times, not order of arrival.